Each Tacx trainer is the result of innovation and our passion for the sport. Each trainer is characterised by advanced technology and a powerful design. The realistic cycling experience provided by this technology ensures that you can enjoy the outdoor experience indoors. The Tacx Trainer software enables you to use Virtual Reality terrains and GPS data in Google Earth. Films enable you to ride famous races and performance is constantly measured and recorded, which is also possible with the Tacx Cycling apps for tablets. Or you can train with your smartphone. It’s all possible. 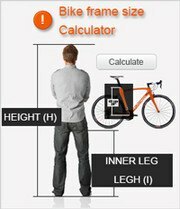 What to take into consideration when buying a trainer? The trainer you choose depends on the resistance unit suiting your training needs. First ask yourself: at what level do I want to train? Tacx offers interactive trainers and stand-alone trainers with different types of resistance units such as a motor brake, electro brake or magnetic resistance unit. The more advanced the brake, the more realistic the cycling experience and the higher the possible training level is. The next question is: how do I want to train? If you just want to cycle to improve your performance level then a cycletrainer or rollers are ideal for you. If you want to get more out of your training, such as registering your training data or riding courses, an interactive trainer fits better. Then, you can use our software.